Laura Lauder is a native of Canton, Ohio and journeyed to the University of North Carolina at Chapel Hill and Seville, Spain for her undergraduate education. In 1992, she joined her husband Gary in their venture capital partnership, Lauder Partners, specializing in Internet and media investments. Laura now primarily focuses her efforts on strategic grantmaking through the Laura and Gary Lauder Family Venture Philanthropy Fund and in numerous leadership capacities at local and national nonprofit organizations. Laura is a nonprofit entrepreneur. She is the founder of DeLeT: Day School Teaching through Leadership, a national Jewish Teach for America program that is a selective fellowship to recruit, train and retain Jewish Day School teachers in the US. DeLet is modeled on Laura’s experience as a fellow in the Wexner Heritage Foundation. She is co-founder of the Jewish Teen Funders Network’s Foundation Board Incubator, which brings the success and impact of Jewish teen philanthropy programs across North America into cities around the world. Laura and Gary co-founded the Socrates Program of the Aspen Institute in 1996, which has convened over 6000 young leaders worldwide to Aspen to participate in seminars and salons on the most difficult issues of the day. Laura is the founder of a new Gap Year program at Duke University that seeks to encourage young people to take a gap year between high school and college to grow, explore and serve. Laura also serves on numerous nonprofit boards. 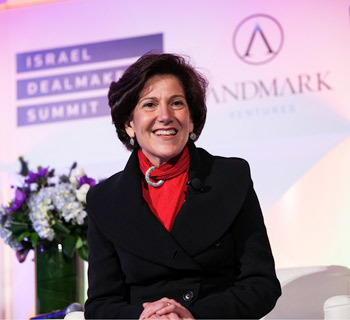 She is chair of the $2.1 billion Jewish Community Endowment Fund of San Francisco, on the board and executive committee of the San Francisco Jewish Federation. She serves on the Advisory Board of Directors of Service Year Alliance, which creates opportunities for young adults to serve their country through a year of full-time community service. She serves on the Board of Trustees of the Aspen Institute, and on the National Constitution Center Board of Directors. She has previously served on the boards of the National Public Radio Foundation and Spark Networks — a NYSE Amex Company and parent of JDate. Laura is active with the Young Presidents’ Organization (YPO/WPO), a global leadership network and is a fellow of the Council on Foreign Relations. She was named one of “10 Women to Watch” by Jewish Woman magazine in 2004. She has won numerous awards, including Volunteer of the Year from the San Francisco Jewish Community Federation in 2011, the Jim Brooks Achievement Award in 2004, and the San Francisco Bay Area Dinkelspiel Young Leadership Award in 1999. Laura is an avid cyclist and won a bronze medal in the Maccabi Games in Israel in cycling time trial in 2009. While she is a political junkie, she hopes to never run for political office, but is willing to climb any mountain on a bike. She lives in Silicon Valley with her husband, Gary; they are empty nesters as both of their children are in college.